Les Voiles d'Antibes is one of the most important classic yacht regattas in the Mediterranean, with it, the Classic Yacht Regatta season opens in the Mediterranean. 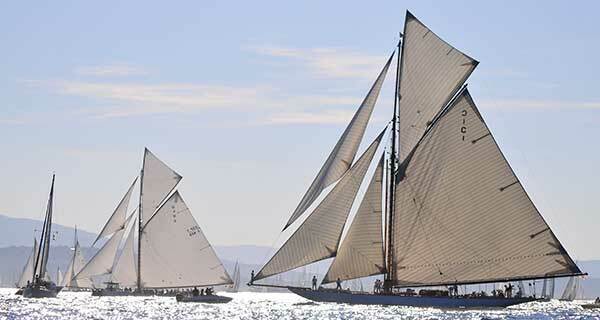 Every year in the first week of June meet in Antibes start of the season, the most impressive vintage yachts built before 1950 and Classics built before 1976 and meter classes 6mr, 8MR, and 12mR, competitors of the America's Cup from 1958 to 1987 and Spirit of Tratidition Yachts. For most participants this prestigious regatta event, it is the first regatta of the year, after a winter season, is mainly used to optimize and repair of classic yachts.